Featuring some of the area’s most unique townhome designs, Oculus Atlanta offers three new construction townhomes not far from Briarcliff Road. The contemporary-style townhomes are each topped with rooftop space including circular cutouts on the very top. This allows for desirable rooftop living space, complimented by gourmet kitchens and sensational private views of the surrounding area. Other extras of living within the exclusive Oculus development are the two-car garages and balconies, soaring ceilings and gated, fenced-in courtyards. The homes also feature abundant upgrades, from gourmet kitchens and upscale baths to oak hardwoods and custom lighting. The Oculus townhomes sit just a short stroll away from the popular Ponce City Market, the BeltLine and the Freedom Trail for outdoor recreation. As well, the homes are also conveniently close to the eclectic vibrancy of Virginia Highland. Listed below are recently closed sales at Oculus in Atlanta. Whether you’re thinking about buying or selling a townhome at Oculus, checking to see what other comparable properties have sold for in recent weeks and months provides helpful insight into current market conditions within the community. For more information about Oculus townhomes for sale or for a complete list of recent homes sold in the neighborhood, contact The Zac Team today! 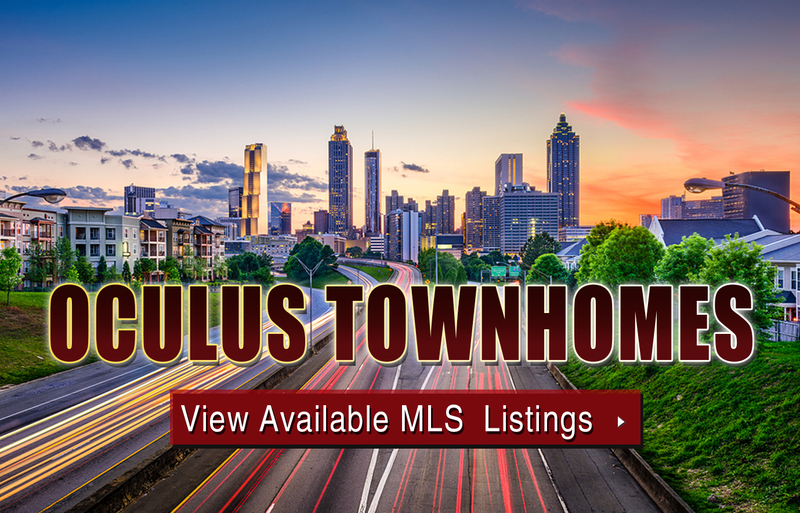 Can’t find what you’re looking for in Atlanta’s Oculous townhouse community? Start browsing other Atlanta real estate for sale or give the Zac Team a call at (404) 564-7272 for help with your new home or condo search today!